Make sure you don’t miss these top attractions. Acadia National Park is a place of beauty, with its rugged coast and numerous animals and plants. Here you'll find the highest mountain on the Atlantic coast. It's the first national park to be established east of the Mississippi. And these are just a few of the attractions of this marvelous vacation destination. From biking historic roads to wandering along shaded paths, you can get out to investigate the best Maine has to offer. When your time is limited (such as having only one or two days), it's important to know where to go, where to stop and what to spend some time doing so you can enjoy as much of the park as possible during your visit. It's not realistic to see the entire park in one or two days, but you can take in some of the main attractions! You will enter the park by taking Route 3 to Mount Desert Island and coming to the Hulls Cove Entrance. You should stop at the Hulls Cove Visitor Center so you can get a map and watch the orientation video. This will familiarize you with the trip you are about to make. You can also get information about ranger-narrated boat cruises, walks and talks where you can learn all about island history, the sea life and much more. These programs are available each day from late May to early October. From the visitor center you can access the 27-mile Park Loop Road. This will be the main thoroughfare for your travels. You'll find breathtaking and spectacular views as you drive. My favorite views are of the crashing waves of the ocean along the rocky coast. As you move along the Park Loop Road, and before you experience those vistas you want so desperately to see, don't neglect one of the top sights in Acadia. The road up to Cadillac Mountain is only 3.5 miles. It's the tallest mountain in the park and in the eastern U.S. There are plenty of exhibits and scenery along the way. I highly recommend taking the short loop trail on the top of Cadillac Mountain to see the Porcupine Islands in the distance. It's educational as well, with wayside displays teaching of some of the natural history of this area. When you come to the fork in the road where the loop begins, go left so you can arrive at the Sieur de Monts Spring area. 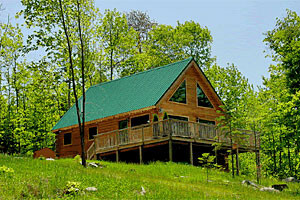 This area is the beginning of many fabulous trails, if you and your family are inclined to set off on a hiking trip. You'll also have the opportunity to see many attractions all centered right here. As an inquisitive soul, I find investigating the Nature Center teaches much about the animals and plants here on the coast, and it's fascinating how the park manages the wildlife within its confines. Tranquility is yours in the Wild Gardens of Acadia. The easy stroll along the gravel and pine needle paths leads you to discover the blooms and birds in this most intriguing garden. Native plants are labeled so you can identify them easily. A wonderful experience for the whole family! Driving further along the Park Loop Road will bring you to Schooner Head Overlook. This is my favorite overlook in the park with some impressive sights indeed. You have to unload your camera for sure! 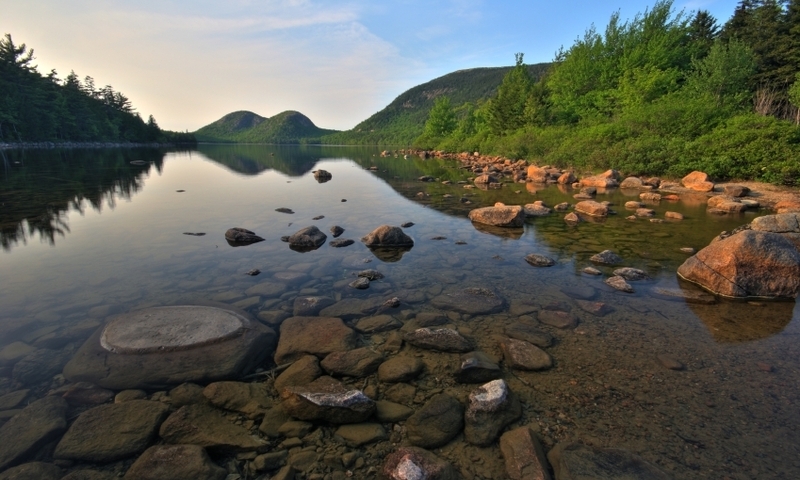 Acadia is truly a hiker's paradise with its 125 miles of great trails! Ocean Trail is a hike along the beach then the rocky cliffs of the shoreline, and a visit to Thunder Hole. It's an easy hike of 3 miles over even ground. If you have planned your day carefully, you may have time to visit Islesford Historical Museum. You'll go to where Route 3 intersects the Park Loop Road in the south and head to Northeast Harbor. Here you can take a passenger ferry to the Islesford Historical Museum on Little Cranberry Island. See maritime history shown with ship models, photographs and much more. If you are making this just a one-day trip through Acadia, it's time to head back up on the Park Loop Road to where you started. You can still enjoy the views of this most marvelous national park, and you'll have time to stop for tea and popovers at Jordan Pond House. 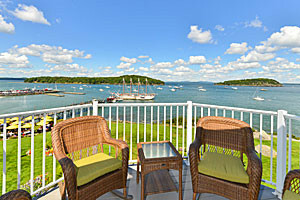 Your second day can be spent visiting the Mount Desert Island on the west side. There are many fun things to do and see, like Acadia Mountain and the Carroll Homestead. From the Park Loop Road past Cadillac Mountain you take Route 233 to Route 198 to Route 102 right to your first stop – Acadia Mountain Trail. 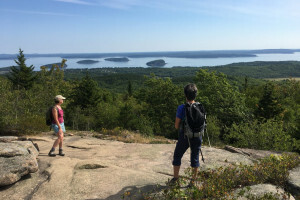 This is probably the most popular trail in Acadia National Park, and you will understand why once you do the excursion. For some incredible views of Somes Sound, it can't be beat! Weaving around on the winding trail is half the fun, with switchbacks making the climb a bit easier. If you are like me, you love to see old lighthouses, and the Bass Harbor Head Lighthouse is one not to miss. You get there by heading south on Route 102 to 102A. It's the only lighthouse in the park. You can't go inside the lighthouse but can walk the short trails along the sides that give you unbelievable views.